Cordial greetings to all of you who read the Marist Bulletin! 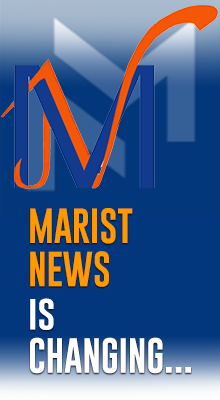 As we have already told you in Bulletin 192, we want to review the area of communications of the Marist Institute, to try to respond better to readers expectations. Throughout the questionnaire that we sent you (which can still be found on the web page (http://www.champagnat.org/en/261700000.asp) there are some suggestions included, but please feel free to send your own proposals and contributions at any time. 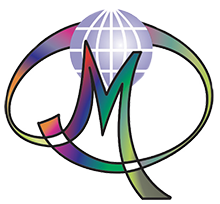 As you know, the Bulletin is not addressed principally to Marist Brothers and is only sent by e-mail to anybody who subscribes, without charge, even if they do not have any particular relationship with the Marist Brothers. * The Bulletin is sent once a week, generally on Thursday evening (Rome time). 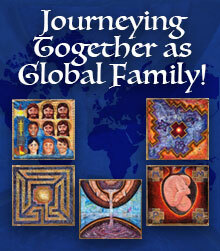 * One week, the edition includes the news items that have appeared in the section The Latest News of Champagnat.org. To avoid making the bulletins too lengthy, only the news items that seem to be of interest to the majority of people are included. All the notices that have appeared on the webpage can be found in the Archives section of the website. We are also open to your collaboration in this area and we would be very happy to receive your help and suggestions. Twenty-four boys arrived from different places in the country, Cinco Saltos, Pergamino, Luján, Merlo, Lugano and Mar del Plata, to join with a team of eight leaders, all prepared to give life and identity to this house for everyone. Even though this was harder for some than others, in a very short while, the boys started to develop friendships between themselves as if they had always known each other and they started work without much difficulty. Perhaps the meeting and the work were facilitated by the availability of each person, the desire to live an experience and the helpful presence of the Spirit amongst us. During these days, the boys worked in Life Groups sharing all that they had discovered and as a piece of clay can seem to be brought to life through the hands of the potter so also they gave life to their dreams, reflected on the story of their lives and were invited to celebrate it; they encountered Jesus who also had a dream that had its roots in the Dream of the Father. They baked bread which they shared and told others about what they were experiencing. In a short time, they could share their dreams and their lives in simplicity and celebrate them in a profound way. They took advantage of times to reflect silently and other times to enjoy each others company; they built a unique Hermitage with their own hands. Those of us who accompanied them could only marvel at the gift of life, of spontaneity and of strength possessed by these adolescents who surprised us day after day. It was the good news of discovering that God is present in the foundations of this house and in each of our lives. That is where the God who gives life lives, the God who is Father and who loves us, the God who dwells in our dreams and who invites us to dream. And it was such good news that we had to leave the house to go to tell others what we had discovered. With Christ, in the depths of our being! Pass this on! This was the slogan of the Young Peoples Easter this year when four hundred young people gathered at the Monasterio de Santa Maria de Bellpuig de Les Avellanes (Spain). The participants were young people who believe that another world is possible. Go against the tide. Take the option of living an intense Christian lifestyle. That was their option! The Easter celebrations were led by a team that came from different areas. Music was an important element of the celebrations. The animation led to some enjoyable and humorous moments. The liturgy was highlighted by a search for new languages that have their roots in the most authentic Christian tradition. Another aspect is life in a group; each day themes were presented such as: new representations of Jesus life, interior peace, present day life, the corporal expression as a way towards God, etc. This was the 32nd time that the Young Peoples Easter had been organised by the Easter team and the Marist Brothers. It can only be evaluated by remembering that its objective is to go into the depths of our selves to discover Christ. The Resurrection is an historical fact, but each person may still experience the presence of the resurrected Christ. Many of us have already had this experience. We now need to pass this on, to express it in our social lives, in our commitment, in our communities and in our groups. The Churchs future asks that the young may be able to experience this and that the ecclesial community may appreciate it. Our Christian community in Mostaganem (Algeria) is very small: there are only sixteen people: thirteen sub-Saharan students and three Marist Brothers. Some were away during this holiday period, but we celebrated Holy Week fervently and simply. On Holy Thursday, Bishop Alfonso, our local bishop, wanted to come to Mostaganem to celebrate the Lords Supper with us. We also took advantage of this occasion to organise a meeting of all the Christians present in the town. On Good Friday, all the Christians present in Mostaganem went to Arsew (fifty kilometres away) to celebrate the Lords Passion. The ceremony was followed by a simple meal for Ramadan. All was celebrated in joy and brotherhood. On Holy Saturday we celebrated the Easter Vigil in our chapel. The community was reduced to seven people. As the young students had to be back in their residence by eight oclock in the evening, we had to start the ceremonies towards half past four in the afternoon. Thus, we had to proceed with the blessing of the fire under a blazing sun. There is something special about celebrating the triumph of Jesus Christ in an environment in which he is not recognised for who he is. This urges us as Christians to deepen our faith; it commits us to an ever-stronger witness to the Gospel in our life. On Easter Sunday, I went with one of my confrères to Oran to celebrate the Mass of the Resurrection with the Christian community of this town. The Eucharist was followed by a convivial feast that brought together all the Christians in Oran and some Muslims. In the afternoon, we returned to Mostaganem, happy and grateful for having been able to celebrate the great Christian mysteries in the House of Islam. Beginning on the feast of Marys birth in September 2004 and continuing until we celebrate her Assumption in August 2005, our Marist Institute has set aside a twelve month period to promote Church vocations, and in a special way vocations to Marcellins Little Brothers of Mary. Our reason for doing so has been simple: the belief that among all possible vocations that exist in our Church today, God continues to call generous young men and women to what has been known traditionally as religious life. That fact may come as a surprise to some. For in a number of countries, talk has been that religious life appears to have been slowly dying over the last forty years. Belief has a way of shaping reality. Enter a school exam convinced that you will not do well, and chances are that you wont. Insist that there are no vocations to religious life today, and you will find precious few. So, part of our efforts this year are aimed at changing that way of thinking and acting. Through a variety of programs, publications, and a simple presence among young people, we are trying, once again, to let people know that living and serving others as a brother, sister, or priest is one wonderful way to spend your life. Years ago, Marcellin summarized the vocation of a brother in a few words. To love God, he said, And to make God known and loved; that is what a brothers life should be. Those words are just as true today as they were when the founder spoke them. So, if you have not done so already, please do join us this year in promoting Church vocations. The job description is quite simple: We are looking for people who are eager to love God and to make God known and loved. On the 9th April 2005, the usual meeting of all the Marist Centres took place at the Paul VI Centre in Fatima. Those present (students, former students, teachers, Marist Brothers and members of families) were able to reflect together and enjoy each others company. The event brought together about 2500 people. A good group of students and teachers from the Colégio Marist de Carcavelos and from the Externato Marista (Marist Day-school) Lisbon were already meeting for the sixth time at Fatima for various activities: walks, games, reflection times, etc. On Saturday 9th April, Brother Oscar Martin, the Vice-Provincial of the Province of Compostela and representing the Brother Provincial, explained the meaning and the importance of such events. He recalled our slogan Be Marist! that insists that our identity and union must prevail, and he also recalled the recent death of our Holy Father. A Eucharist was celebrated with Father Filipe OP as the main celebrant accompanied by Father Paulo Figuier. In his homily, the celebrant compared the similarities in the lives of Saint Marcellin Champagnat and of Pope John Paul II: their service to the young, their constant concern about their problems and the place that the young occupied in their works and in their hearts. After lunch, there were presentations given all through the afternoon by the participants from the different Marist Centres. The Centres represented were: Colégio Marist de Carcavelos, Instituto Missionário Marista Vouzela, Lar Marista (Marist House) de Ermesinde and Externato Marista Lisbon. Brothers from Salamanca and brothers and teachers from Tui and Lar Marista (Marist House) Chaves also participated in the meeting. A group of twenty senior school and university students, three postulants, three scholastics and eleven brothers undertook a missionary camp at Chona, Mexico. They were distributed throughout small communities who have difficulty being served by the priests of the parish. We present below testimonies from three participants: one brother, one postulant and one aspirant.